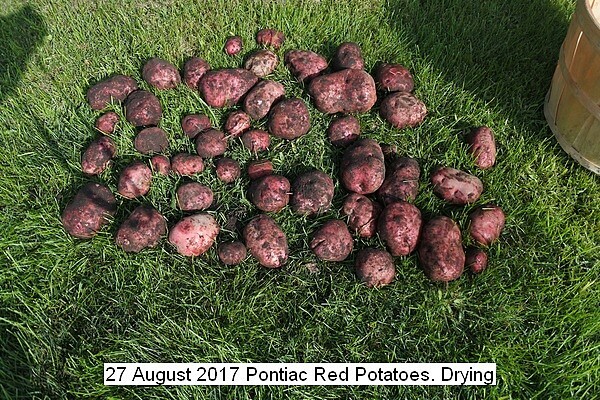 Eight Pontiac Red Potatoes were harvested. The vegetation has died off. All the potatoes were a good size. The average production was 2 kilograms per plant. Sixteen kg were placed in the root cellar and a few culls were set aside for immediate use. This entry was posted in Uncategorized and tagged 27 August 2017 Pontiac Red Potatoes, Pontiac Red Potatoes, Pontiac Red Potatoes Harvest. Bookmark the permalink.